I am so excited to introduce a new blog series, GirlBoss Spotlight! About once a month, I’ll be introducing you to different girlbosses from around the country (maybe even the world!). These are inspiring ladies who are rocking small business ownership and doing big things in their industries! I want this series to be a place where we can uplift and support each other. My first GirlBoss is Lauren Carnes. 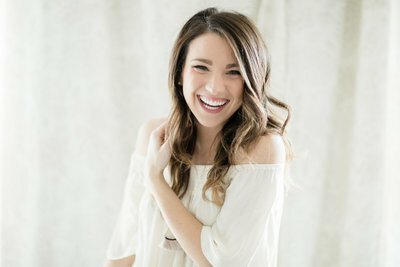 I have followed Lauren on social media for many years now and she is always so motivating, encouraging, uplifting, and I always have a big smile on my face while watching her adorable Insta Stories. Lauren is rocking her photography and communications strategy business serving a variety of different clientele. I’m going to let her tell you a little bit more about her and her business! She’s pretty fantastic and I’m excited for you guys to meet her! *Make sure you scroll all the way to the bottom because Lauren has a special little something for you guys! Without further ado, let’s meet Lauren! How old are you? 29 – turning the big 3-0 in November! Where do you live/where are you originally from? I currently live in Augusta, GA, but am originally from the Atlanta area. However, in June 2019 I’ll be moving back to Athens, GA! What is your business name? 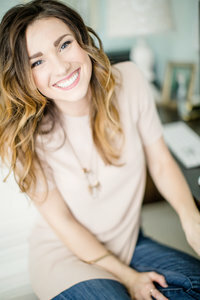 My business is simply my name: Lauren Carnes – it originally was Lauren Carnes Photography, but as of recently, I’ve expanded my offerings and services to encompass more than that, so the name has shifted a bit too! I started the business in May 2014! 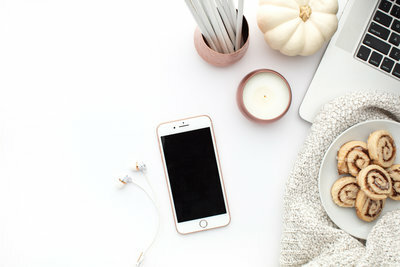 Tell me a little bit about how you started your business: My background is actually in marketing & public relations, so I began my business in a season of work where I wanted to pursue a creative outlet outside of the office… primarily to keep me busy while my husband was in medical school. While he would study, I’d explore every facet of owning & running a photography business, photograph my dog in the backyard, and dream of what it would be like to own my own business. I was always the girl with a camera in hand and was the yearbook editor in high school, so photography seemed like a natural fit. 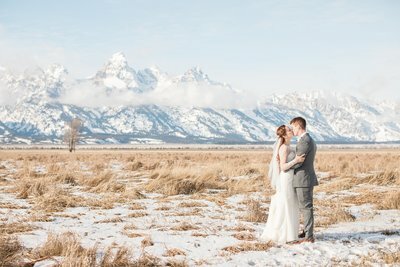 When I first began, my goal was to be able to shoot friends engagement photos as their wedding gift. It was a great goal… and one I REALLY loved being able to do – it meant I could get to know the significant other and spend time with friends learning about their love and relationship. So special! I quickly discovered it was more than a hobby, began third shooting with some amazing photographers in the Atlanta area, and realized I wanted this “thing” to grow. When my husband finished medical school and matched as a medical resident in Urology in Augusta, GA, I figured “When better to start a business than now?”… in a new city where I knew virtually no one. I spent many, many weekends driving back and forth to Atlanta shooting weddings while building my business in Augusta… and about the time I started shooting more in Augusta, friends started asking me just exactly how I had built my business. It all came back to strategic marketing & good communications. Those conversations led to sharing tidbits with friends about how to up their marketing, which then led to a natural progression of offering that to others, alongside taking on a role on the Rising Tide Society team doing a variety of communications & launch strategy. Now, I offer both photography AND communications strategy, and can’t imagine it any other way! It’s been the best combination for my business AND my clients – as they get the best of both worlds: a communications & marketing minded photographer who bridges the gap between imagery & words! Who do you serve in your business? My business is twofold: photography & communications strategy. As a photographer, I serve foodies, creatives, & couples capturing food & lifestyle photography, branding imagery, and beautiful wedding days! As a communications strategist, I serve creative entrepreneurs looking to get clear on their brand message, craft intentional marketing that connects with their ideal clients and build a profitable & sustainable business. Do you have a Mission Statement? Oddly enough, I don’t have a SET mission statement… but if I did it would be about this in a nutshell: Do great work and love & serve people well. Is there anything unique about your business that people would be surprised/interested/excited to hear about? Oh, one more thing! I also lead an intimate retreat with a few other ladies called The Mastermind Retreat. Think business education, intentional time with others digging into your specific business, a live-in chef, and ~20 ladies all sharing a house (and lots of bottles of wine!) for a few days. It’s a dream, and definitely one of my favorite things in business! Tell me a little bit about your family! I’m married to the best guy I can imagine, Chip, a 5th year medical resident training as a Urologist. After what will be 9 years of post-college school/training (and 26 consecutive years of school/training – holy cow! ), he’ll graduate from residency in June 2019, and we’ll move to Athens, GA for him to work in a private urology practice there. We’re SO honored and grateful for that opportunity & what’s in store for his career. We also are equally as thrilled to be welcoming our first little in December – seriously beside ourselves with excitement for this answered prayer. And of course, we can never forget our first “child” – Sophie, a yellow lab mix rescue pup with a heart of gold & snuggles for days. What would your ideal evening/weekend look like? : Hands down it would include turning the record player on with some jazz, Guardians of the Galaxy soundtrack, or Ed Sheeran & whipping up a fun dinner with Chip while dancing around the kitchen… all with a glass of wine, of course. A weekend would look a lot like that too, or popping to a fun new city to explore & eat! As a kid, what did you want to be when you grew up? I wanted to be Paige, the hostess of the TV show, Trading Spaces. I always thought it would be the most fun job helping people transform their spaces… and taking care of the people involved in between. It’s ironic because still to this day, I think it would be the most fun to host a cooking television show, so I guess things don’t change that much! Instagram or Facebook? Instagram always & forever. Cats or dogs? Dogs always & forever… although I just generally love animals, so really I’ll snuggle any of them. Chocolate or vanilla? Swirl. I like a little variety. But really, I’ll never turn down ice cream. Summer or Winter? Summer – give me all the flowy dresses & sunshine, please! Coffee or tea? Tea – not much of a coffee drinker… it actually makes me feel kind of sick. Although, I will sacrifice occasionally for a really delicious latte. Relaxing beach vacation or active/adventurous vacation? Depends on the country & season. Example: European adventures have my heart, but we’re babymooning on the beaches of Kauai in Hawaii. I’ll take either! What is one thing you are currently OBSESSED with? Smoothie bowls. Can’t get enough of them. May or may not have chosen Hawaii for the babymoon partially because of smoothie bowls. What is on your travel bucket list? What is NOT is probably the better question? Most recently I’ve been eyeing the South of France! Do you have any business role models/mentors? If so, what you admire about them? I think what I’ve realized is that role models/mentors change during different seasons, but as a collective whole, I most admire business owners who are super intentional with their life first, and business second – who prioritize family & friends, knowing that their version of success may look different than another’s – and that is MORE than ok.
What do you think is one of the biggest misconceptions about your industry/small business ownership? We have the “dream jobs” and nothing is ever hard – while yes, in many respects the job I do is truly a dream… it’s still a job, and has elements of a job, like any other job that just aren’t fun, and are plain tough. I wouldn’t change it for the world (in this season right now), but I think the reality that we still are normal people with difficulties and challenges is a good reminder most days (especially in the beauty of the Instagram square world!). What would you say is your biggest strength? According to the StrengthsFinder test, it’s “Communication” – and if you’ve never taken it before, you 100% should. It’s been a gamechanger in helping me navigate what I’m best at and how to make use of that in life & business. Otherwise, if I just were choosing a strength out of mid-air… I’m a really hard worker. Sometimes to my detriment… but it has definitely been a valuable factor my whole life! What is one thing/accomplishment you are particularly proud of in your business? Learning to set boundaries & say no to things that aren’t serving me in that season. It’s hard, I tell ya… one of the hardest things I’ve ever had to do, but it’s allowed more room for the best kind of work AND even more accomplishments/goals met than I could have imagined. I’m still learning this every day, especially with a baby on the way, but so grateful I’ve begun the hard work already & can see the reaping of what I’ve sown. If you could rewind 10 years, what is one thing you would tell your younger self? Ohh… enjoy those college years a bit more (and go on the random late night adventures with friends… you have plenty of time to sleep). You have the rest of your life to work, so give yourself a little break… and also, no one really cares about your GPA, TBH. Promise. Do you have any advice for someone who is interested in starting their own business, perhaps even in the same field as you? My first question: which field? Ha! Regardless of field though, my advice is to learn everything you can, prioritize relationships always, raise your hand when you are able to help/offer your services, and always be a GIVER. Give what you have to offer, and you’ll reap endless benefit as a result. Do you have any books, podcasts, instagram accounts, etc. that you recommend/love to follow? Oh my goodness, so many – definitely StrengthsFinder that I mentioned earlier. Also, a few lately I’m loving: Nothing to Prove by Jennie Allen, basically anything by Shauna Niequist, Steal Like an Artist & Show Your Work! by Austin Kleon, & Influence: The Psychology of Persuasion by Robert Cialdini. That’s quite an array of books & topics, but all worth your time for sure. Are you currently working on any exciting projects you’d like to tell us about? My most exciting project I’m working on right now is certainly growing this little babe & preparing for the December arrival (and for maternity leave!). People also have been asking about where they can find the recipes I share on Instagram, so I’m exploring how to do that better too! And otherwise, I’m just plugging away at some of my favorite work I’ve ever done in my career, and so grateful for it all! I’ll be sharing all of the updates on Instagram, for sure! I also share a newsletter full of my best content every Thursday! I’d love to invite you all to join me on it – and you can start by getting a freebie of learning how to find your recipe for your signature brand voice HERE! A huge thank you to Lauren for letting me interview her for this blog! Is she not the most adorable thing?! Make sure you guys go follow her on social media and definitely sign up for her newsletter too! I love getting my “Thursdays At The Table” email every week!